Armada – The 18/19 lineup is their most complete collection of hard-charging directional skis, performance-enhancing all mountain skis and the most dedicated lineup of freestyle skis in the industry. Black Crows – Black Crows is an independent French freeski brand from chamonix. Founded in 2006 by pro freeskiers Camille Jaccoux and Bruno Compagnet, black crows was born out of a desire to collide beauty and efficiency into skis. Beautiful to look at and strong in both Alpine and Touring skis, Black Crows is a great niche line at California Ski Company. Blizzard Everything changed for Blizzard when they implemented “flip core” technology several years ago. Award winning skis like the Bonifide, Cochise and the best selling ski in the US last year the Black Pearl 88 followed. Dynastar – Built in Chamonix France, Dynastar is a skiers ski. Packed with personality and heritage, Dynastar is a brand that does not get its due here in the states. Partnered with both Lange boots and Look bindings, Dynastar is part of a trio of oconic and trusted brands with a very loyal following. Faction – In 2006 a group of athletes started building skis the way they wanted to. To last 100 days a year. To be true to their needs. Twelve years in they are going strong. We carry the Candide series. Everybody wants to be Candide right? Click on the link to see why! Fischer – Founded in 1924 by Josef Fischer, this is still a family owned business. Based in Ried Austria, the employees are passionate about building great skis and boots. With a race heritage and innovative technologies like Vacuum boots, Fischer is a leader in winter sports technology. California Ski Company has carried Fischer skis since 1989. Black Diamond– Based in Salt Lake City, Black Diamond has been making skis and other gear for ski touring longer than most. We carry not only skis, but bindings, crampons, and even ice axes made by this venerable brand. Head– Started in Baltimore in 1950 by Howard Head, this company revolutionized skiing by building the first laminated wood and metal ski. Led by the Head Standard model fully 50% of skis sold in the US in the 1960’s were sold by Head. Owned by Austrian interests since 1989, head continues to innovate. Head also has become a dominant force in ski racing, winning world titles with athletes such as Lindsey Vonn and Bode Miller. California Ski Company has been selling Head skis since its inception in 1989. 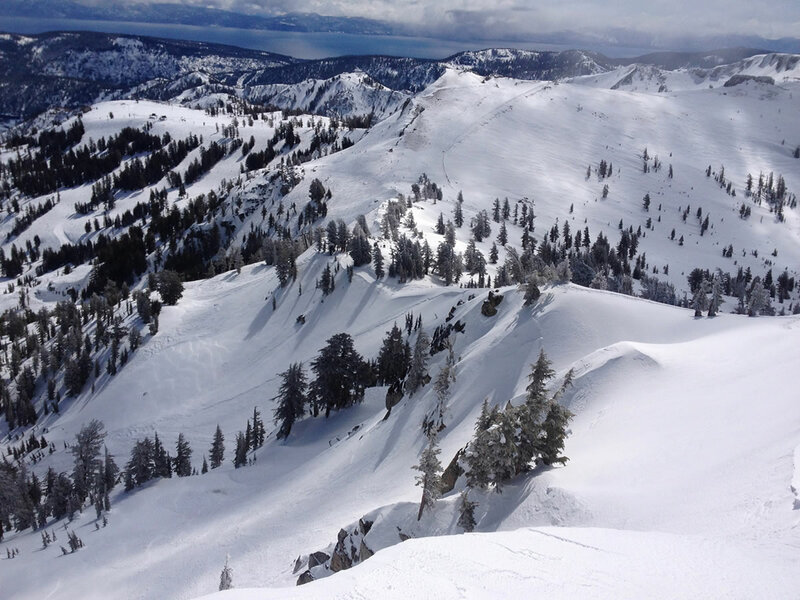 Nordica – A relatively new brand for California Ski Company. We picked up Nordica in 2016. Nordica is under the same ownership group as Blizzard. Nordica was known for years as a dominant boot company. Now they have award winning skis like the popular Enforcer series. Nordica also build women’s skis that range from fantastic intermediate models to real hard charging ones that are very well received. Rossignol– While California Ski Company has generally favored Central European skis, it is hard to ignore Rossignol and a few other French skis as fantastic and iconic brands. Rossi has many iconic skis over the years. From racing to surfy freeride skis Rossi really knows how to build a ski that everyone loves. From the Bandit series to the Soul 7 of the last number of years, Rossi has been at the core of the modern ski evolution. Voile– Since the release of the Voilé Mtn Surf in 1991 Voilé has been committed to making the highest quality lightest weight skis possible without compromising quality …all right in Salt Lake City, Utah at the foot of the Wasatch Mountain Range. We know it sounds French but it is homegrown, awesome and a grat value. We are big fans. Pretty much the most core backcountry ski company out there? We think so! Volkl– If you are a skier and don’t know the name Volkl- well what can we say? Come on in because you get to start right there. P40, Snow Ranger, Explosiv, G30, Supersport, AC40, Gotama, Mantra- the list of legendary skis is long indeed! Stockli – It takes hours to build a ski in most European factories. At Stockli it takes ten days. That pretty much sums it up. Comparing Stockli to other brands is like comparing a Timex to a Rolex (not to slight Timex watches in any way…). Stockli skis have a special magic. Once you have skied them it is hard to ski with anything else! Wagner – Ever wanted a ski that was perfectly built just for you? Wagner Custom Skis can deliver that dream! A custom ski builder out of Teluride. A mutual friend of California Ski Company and Wagner Custom Skis said “You two companies would like each other- you guys need to work together!” So we met and figured out how to make a custom ski company and a retailer relationship work for everybody. Now we sell skis that are perfect for each customer.